I never thought I would lament the loss of the old Cold War Kids, largely because the old Cold War Kids weren’t that great. Their first two albums, Robbers and Cowards and Loyalty to Loyalty, walked the fine line of almost worthwhile. Beautiful, considered, reverb-ridden riffs and well paced percussion were unfortunately obscured by Nathan Willett’s unhinged vocals. I echo many critics thoughts, to the point that my own comparison is cliché, when I say Willett sounds like Jeff Buckley if Jeff Buckley couldn’t sing. Not that a poor voice is indicative of the quality of the final product (hell, I blast the likes of Pavement and Parquet Courts on the regular), or even that Willett is that bad of a singer (because he’s really not), but his monolithic wailing made little sense over the top of the smartly executed, often times soulful, rock. The volume and vivacity that Willett delivered his with lyrics meant that they were a distraction, as they were a detriment, to the genuinely good stuff that was laid down in those two records. Put it this way: if I had a choice of listening to those albums with or without Willett’s voice, I’d take them without. In fact, how is that not a thing? I’d pay for that. 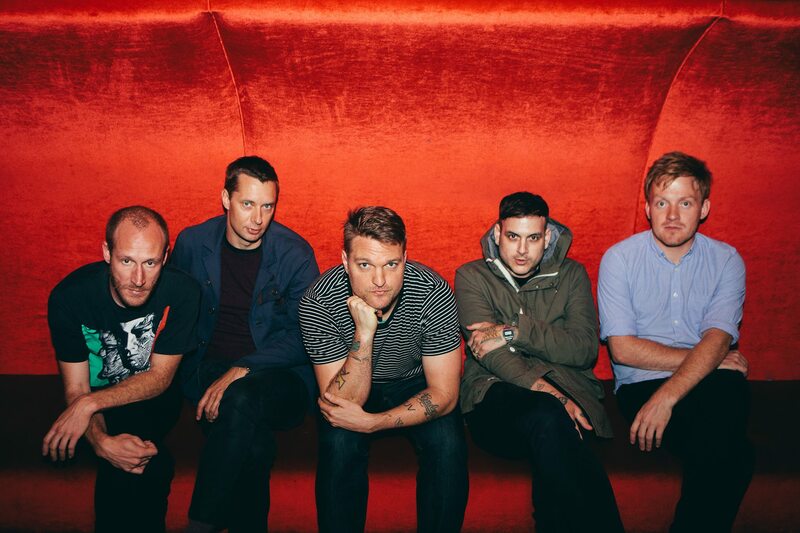 With their third album, Mine Is Yours, Cold War Kids made their first bid at creating a more accessible, arena-filling, style of rock. The album didn’t work in a lot of ways, but what it did do is obliterate the many hopes that Willett would reign in his vocals to compliment, rather than obscure, the tone and instrumental style of the early records. Instead, it was the Cold War Kids’ music that changed, seemingly to try and match their frontman’s singing style, by becoming more bombastic. When I say I miss the old Cold War Kids, what I really mean is that I miss what Cold War Kids could have been if they didn’t take this route. This change was even more readily apparent in Dear Miss Lonelyhearts, and now Hold My Home, the band’s fifth album. Having swapped out their old sound for blaring riffs, thumping drums, and— by god— a hell of a lot of unneeded piano, particularly evident in “All This Could Be Yours”, “First”, and “Hot Coals”, Cold War Kids have, in my opinion, lost a lot. What they have gained, and this is important, is coherency. On those three tracks the melodramatic vocals almost suit in a way they never have in the past . Almost. The best stuff, i.e. Dann Gallucci’s guitar (like Jonnie Russell’s before, who he replaced), is obscured, and in the places it’s not, it lacks any amount of subtlety, something the album could do with a great deal of. The important thing though, is that it’s obscured not just by Willett’s pompous vocals, but by percussion that overzealously pounds away and piano that just plainly shouldn’t be there. While that leaves little room for nuance, these three elements at least seem to be working towards the same goal, and that’s more that can be said for a lot of past Cold War Kid’s work. You might even say it’s catchy. The vast majority of the album, however, continues to be plagued by the problem of past records, and that is simply, that the band’s frontman’s grandiloquent singing gets in the way of good music. “Hotel Anywhere”, for example, is so close to being a great track, but it gives me a headache trying to block out Willett’s voice so I can listen to the guitar, bass, and drums, so expertly put together. The pop-rock esque synth that kicks in at the tail end of the chorus is a welcome reprieve from the singing, complimenting the song better than the lyrics do, even if it is a little overbearing. Ultimately, your enjoyment of the record is going to depend heavily upon your tolerance for Nathan Willett’s singing. There’s a lot of quality stuff on Hold My Home that still persists despite everything, but more that is obscured beyond the point of appreciation, and that to me, is a great shame. Even greater still, is that it doesn’t look like Cold War Kids, specifically Willett, are ever going to stray from that line of almost worthwhile.